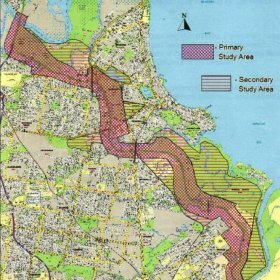 Lambert & Rehbein was commissioned by the Department of Transport & Main Roads (DTMR) Metropolitan District to provide a Detailed Ecological Assessment (Flora, Fauna, Aquatic Biology) for the Gateway Motorway North Planning Study. 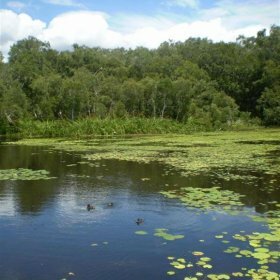 The project involved the provision of Ecological Services to contribute toward the development of Upgrade Options for the Gateway Motorway from Nudgee Road to the Pine River. The Detailed Ecological Assessment will be utilised to determine how flora and fauna values of the project area may influence the proposal. To ensure an optimum outcome for DMR, Lambert & Rehbein’s Terrestrial Ecologists teamed with FRC Environmental’s Aquatic Ecologists to undertake the assessment in their fields of expertise. 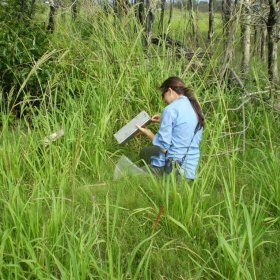 Lambert & Rehbein carried out extensive flora surveys over the project area, as well as diurnal and nocturnal fauna surveying to determine the location and extent of vegetation communities occurring over the project area, the location of rare and threatened flora and fauna species and significant fauna populations. FRC Environmental assessed the health and fisheries value of all waterways that traversed the project area. Terrestrial and aquatic fieldwork was augmented by comprehensive desktop research, including a detailed literature review of previous studies undertaken in the area, in order to provide a more comprehensive and in depth review of the project area’s ecological values. Together, L&R and FRC were able to provide DTMR with an understanding of the terrestrial and aquatic ecological values present in the project area, as well as a list of impacts that the upgrade may have on these values. Management measures provided by L&R and FRC were presented as a means of assisting DTMR to determine a layout that preserves the ecological values of the region.